Florida Forest Service will have a Fire Truck display and Merritt Island National Wildlife Refuge will have a kids stamp activity. 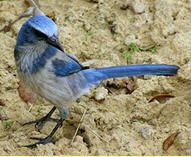 Other family activites include tram tours of the scrub-jay habitat, guided nature walks, a panel discussion, music and more. Environmental groups will have exhibits on topics of interest. Admission is free and food will be available for purchase. Call (863) 386-6094 for more information.